Turkey has continued to show growth in recent years through in particular infrastructural and industrial expansion, and in the energy, media, real estate, and services sectors. Overall, the country is regarded as a major market, and a relative safe haven from the rigors of the Eurozone and the difficulties of many emerging markets. There is an attractive legal regime for inward investment and a sizable major project deal pipeline. For these reasons and based on strong demographics, it comes as no surprise that the country continues to attract significant amounts of foreign and local direct investment. However, doing business in Turkey is not without its challenges. Partner with Dentons and confidently navigate these challenges. Enjoy the benefits of a dynamic law firm that combines technical expertise and commercial insight with local know-how. 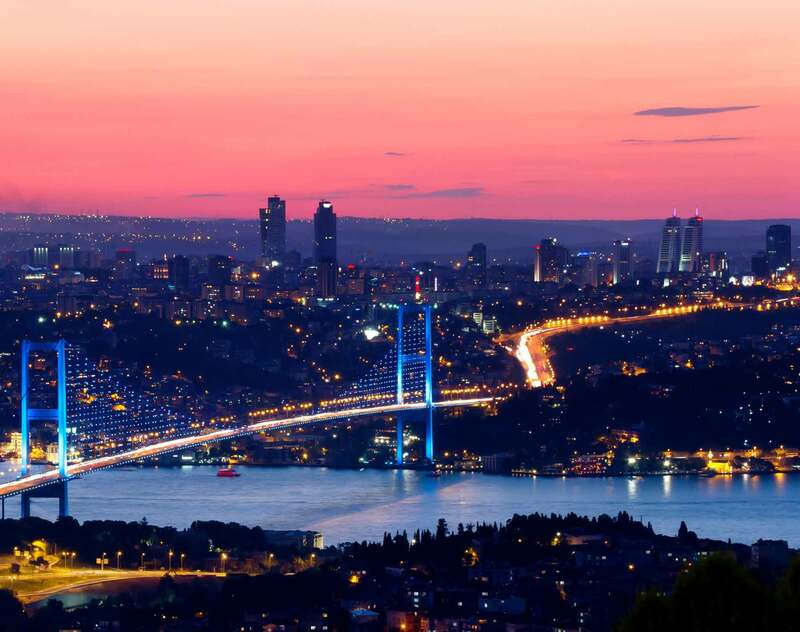 Our Istanbul office now has 75-plus attorneys, is highly ranked in key legal directories and has the capacity on the ground in Turkey to deliver. Whether you are seeking legal assistance on e.g. mergers and acquisitions, local sector-specific regulation and competition law, banking and finance, capital markets, dispute resolution, real estate, corporate, or energy sector related issues, you can rely on Dentons to produce your desired results. Dentons was named “Central and Eastern Europe Law Firm of the Year” and “Russia Law Firm of the Year” at the Chambers Europe Awards 2018. The awards were presented at the Intercontinental Hotel in Madrid on April 20, 2018. Dentons’ global Competition and Antitrust practice was ranked among the leading firms for competition law in the 2018 edition of the GCR 100. Dentons was recognized in 11 jurisdictions, including China, the Czech Republic, Germany, Hungary, Italy, Mexico, Poland, Russia, Singapore, Turkey (BASEAK) and the United States (Illinois). The Polish team, led by partner Agnieszka Stefanowicz-Barańska, received the coveted “Elite” ranking for the tenth consecutive time. The great European energy transition continued in 2017 and, across the continent as a whole, shows little sign of slowing up in 2018. Ever lower levels of subsidy and guaranteed power prices awarded after fiercely competitive tenders have not deterred developers or financiers, who still see opportunities even in the more mature renewables markets. Industry is driving economic growth, at the same time industrial production processes account for a considerable share of the pollution in Europe. On 6 January 2011, the EU adopted Directive 2010/75/EU (the Industrial Emissions Directive or IED). Dentons has advised VINCI Airports on the 25-year PPP concession in respect of Belgrade’s Nikola Tesla Airport, covering the airport's financing, operation, maintenance, extension and upgrade. Balcıoğlu Selçuk Akman Keki Attorney Partnership (“BASEAK”) and Dentons advised three groups of shareholders on Delivery Hero AG’s US$1.1 billion initial public offering on the Frankfurt Stock Exchange. The offering is reported to be Germany’s biggest technology listing in the last three years. Dentons has advised Qurayyat Desalination SAOC – a special purpose company formed by Hyflux Ltd and Modern Channel Services LLC – with respect to the Qurayyat independent water project (IWP) involving an awarded US$250 million contract to design, build, own and operate the Qurayyat desalination project in Qurayyat, Oman.